Kumara are sent out as tupu – small rooted plants grown in a tāpapa bed. As they are sent out as live plants we take great care with them – they are bundled and labelled, the ends are wrapped in damp newspaper and then a bio degradable plastic bag and then they are boxed and posted out. Although we’re starting to plant our kumara now the fantastic thing is that we are still eating last year’s harvest. 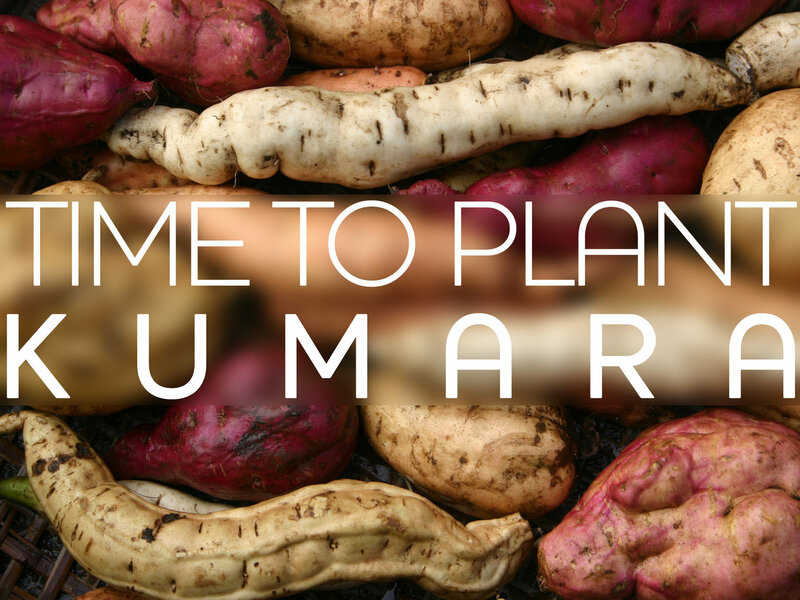 When we started growing kumara it felt like a bit of a luxury crop but now its become one of our major staples. It’s easy to grow, stores and keeps well, and, as we grow lots of different varieties, we have different colours and textures to enjoy. We end up eating it most days at this time of year but can vary things by roasting it, boiling it, mashing it or even stir frying it.